Is your team ready to up its marketing game? A marketing mind map can help you organize social media ideas and plan PR strategy by breaking down information into related subtopics, making the big picture easier to understand, visualize and execute. 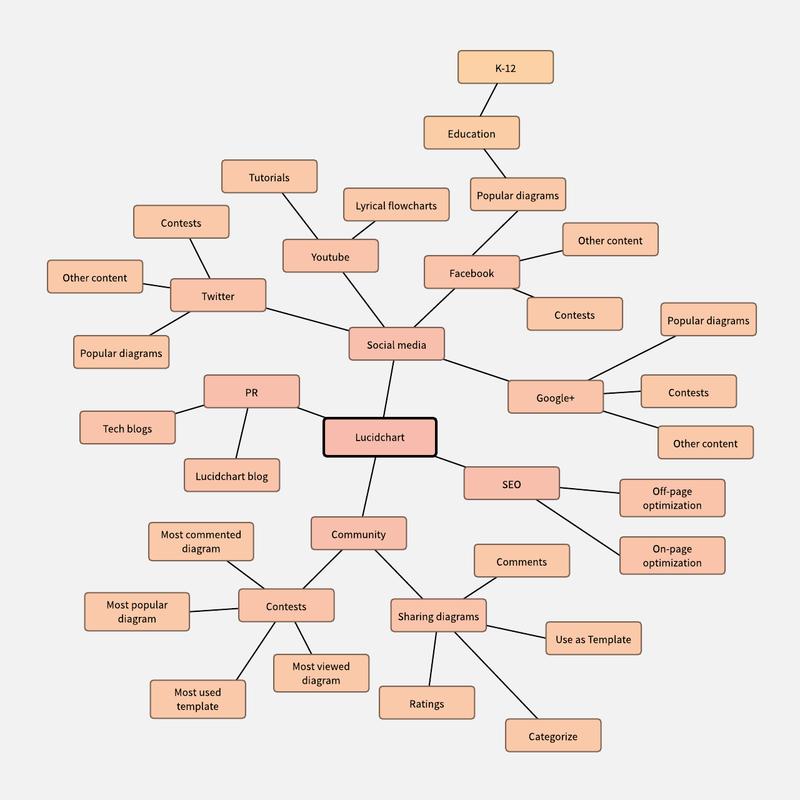 You can edit this or create your own marketing mind map template with a Lucidchart account. Our real-time collaboration will keep your entire team on message.